The Truth Could Set YOU Free. 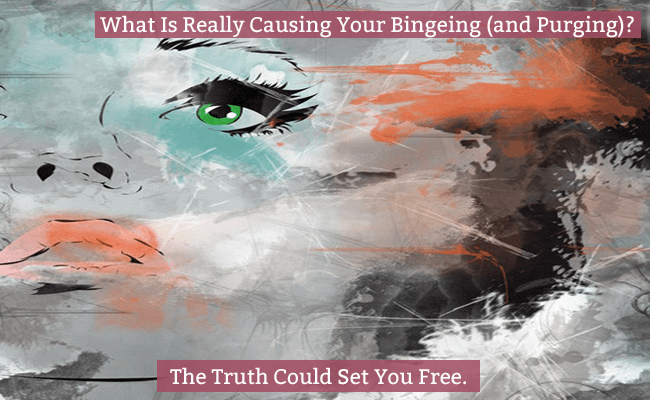 With so many reasons given for bingeing , the question of why you binge, can be hard to answer correctly. However, THE WRONG ANSWER can send you down the wrong path, causing months, years and even decades of unnecessary frustration and struggle with bulimia. So Why Do You Binge & Purge? Perhaps you have given yourself one of the answers below? Now these explanations make sense, especially if you’ve been struggling with bulimia for some time and because they are the ones most commonly cited online. None-the-less they are unlikely to be the cause of your bingeing, at lease initially. Research reveals that the majority of people with bulimia, were dieting or controlling their food intake in one form or another; whether that’s restricting calories and or food types, intermittent fasting, fad diets and or appetite suppressants, prior to the onset of any bingeing and purging. Now there can be any number of underlying reasons why someone chooses to go on a diet in the first place, but these generally DO NOT cause the bingeing and purging per se, the dieting or restricting does. A desire to seek out food, especially foods containing sugar, simple carbohydrates and fat. Uncontrollable eating (bingeing) when food is available. This part of the brain is instinctive; it responds unconsciously and automatically. It has no concept of dieting and has no idea that food is readily available. And as part of your instinctive survival mechanism, you can’t over ride this part of the brain because its purpose is to keep you alive. Try to stop breathing and you will understand what I mean except someone who is starving, ‘gasps’ for food. NOT UNDERSTANDING that the overwhelming urges to eat and subsequent bingeing are the result of an instinctive response to a lack of food [energy], you blame yourself for being weak-willed or greedy. Or worse… you believe you are somehow fundamentally flawed, sick or diseased that you can’t stick to the ‘diet’ or control yourself around food. Rarely is the blame cast on the correct cause, the restrictive dieting and so in attempt to regain control, you restrict further in some way or another. But rather than ‘controlling’ your bingeing, restricting your food intake ultimately leads to more bingeing. Terrified of gaining weight the compensating behaviours of purging come into play; self-induced vomiting, over exercising, and or increased dietary restriction, fad diets and fasting, along with the use of laxatives, diuretics and diet pills, in an attempt to redress the binge. The body remains in a state of hunger, malnutrition and or deprivation, hence the growing obsession with food and the uncontrollable urges to binge. The tendency to binge on large amounts of sugary foods causes your blood sugar level to soar; to bring it back down, your body releases insulin. 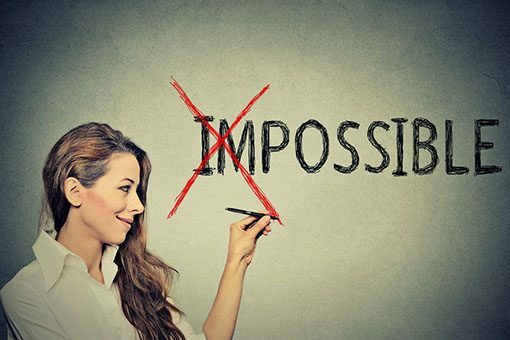 However, when you ‘throw up’ the food, the elevated levels of insulin now in your body, cause your blood sugar levels to crash and so your body wants… guess what? MORE sugar… to restore balance.Which is why, shortly after vomiting, you can have stronger cravings and urges to binge than before! And A Cycle of Bingeing and Purging Quickly Develops. Trying to be ‘helpful’, your brain converts any repeated behaviour into a habit (a an acquired mode of behavior that has become nearly or completely involuntary). Any repeated behaviour tends to become ‘programmed’ in the brain at an unconscious level. So after a time, under certain emotional conditions someone with bulimia can experience overwhelming urges to binge (and purge). It then appears to the bulimic that these conditions cause the bingeing (and purging) can become a way in which a person manages or copes with unwanted emotions or situations. However this doesn’t mean you can’t manage unwanted emotions or situations or cope with life but rather bingeing has become an automatic habitualised response. Hopefully this gives you some understanding off what is really going on for you and that there is actually nothing fundamentally wrong with you, rather it is your brains ‘healthy’ response to restriction. Maybe now it will be easier to stop the behaviours and recover? For more insight into what is really going on, check out The Side Effects of Under Eating and you’ll find surprising parallels to the symptoms of bulimia! The majority of your bulimia symptoms and side effects are the side effects of under eating, aka Dieting?